Earlier this week NPR explained why they don’t call Christine Ford a doctor because they reserve the title of “Dr.” for an individual who holds a doctor of dental surgery, medicine, optometry, osteopathic medicine, podiatric medicine or veterinary medicine. There are no state records that show Cristine Blasey Ford is a licensed psychologist. This is another direct hit on Blasey Ford’s so called credibility. 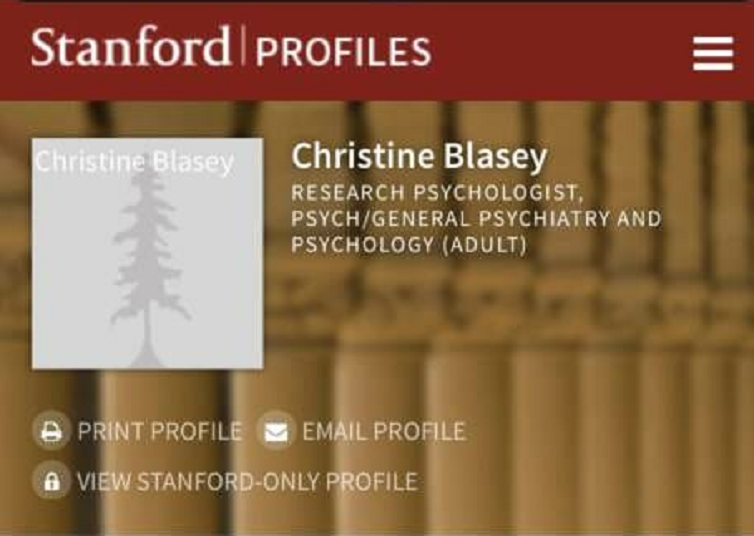 The bio page used to look like this with Christine Blasey given title of Research Psychologist.